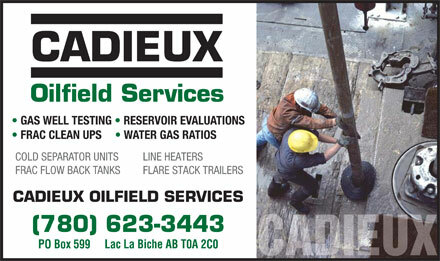 Since 1987, Cadieux Oilfield provides contract oil and gas well testing, reservoir optimization, and technical support services. Our innovative gas well testing service delivers accurate results that help characterize your reservoir's potential. We identify opportunities for improved production in under-performing wells or fields. Increase your field production with our reservoir optimization, and management services. Combustion efficient flare stack burners.